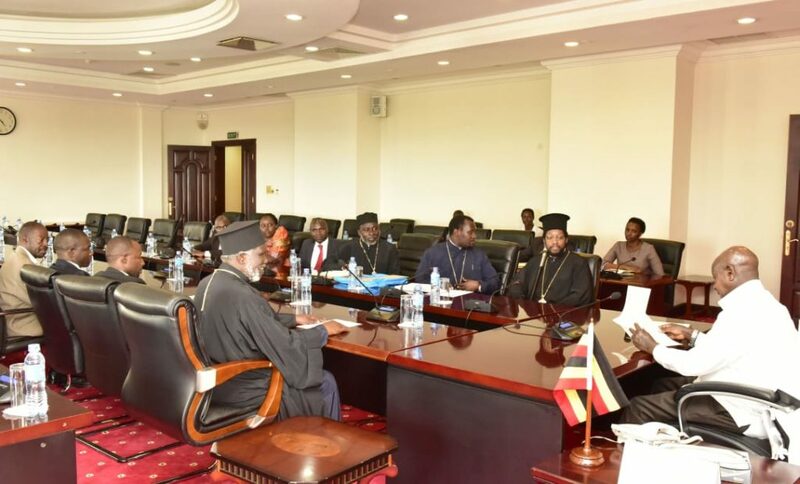 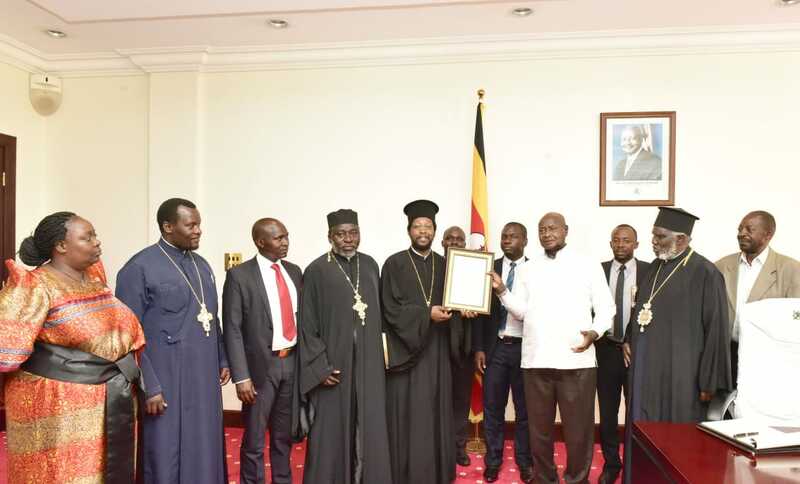 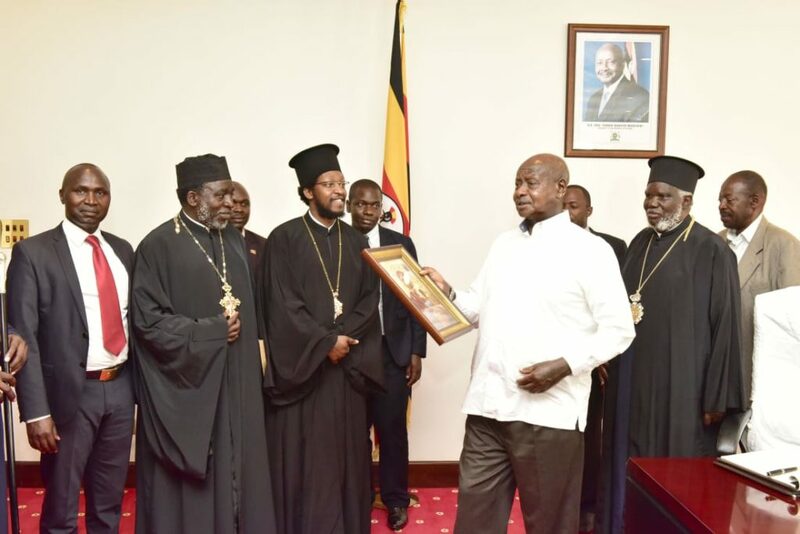 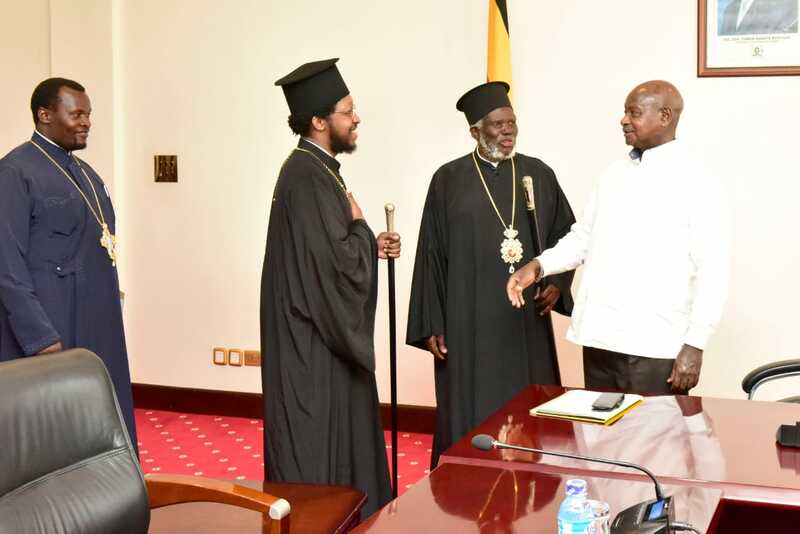 In an effort of formalize the activities of the newly formulated Orthodox Diocese of Gulu and Eastern Uganda, today 30th January 2019, His Eminence Metropolitan Jonah Lwanga along with other representatives of the Orthodox Church in Uganda paid a visit to the president of the Republic of Uganda at State House Entebbe to officially introduce His Grace Bishop Silvester Kisitu as the spiritual leader of that diocese. 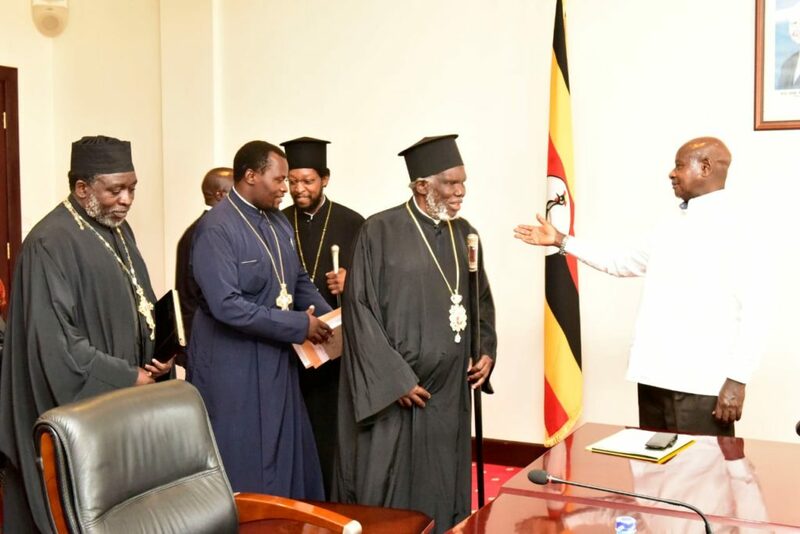 The team was welcomed by the President himself and during this glorious meeting, the president expressed his gratitude for the visit and promised full co-operation and support of the State to the New diocese in uplifting the Spiritual, Social and Economic development of the people and the entire region were the diocese is operating. 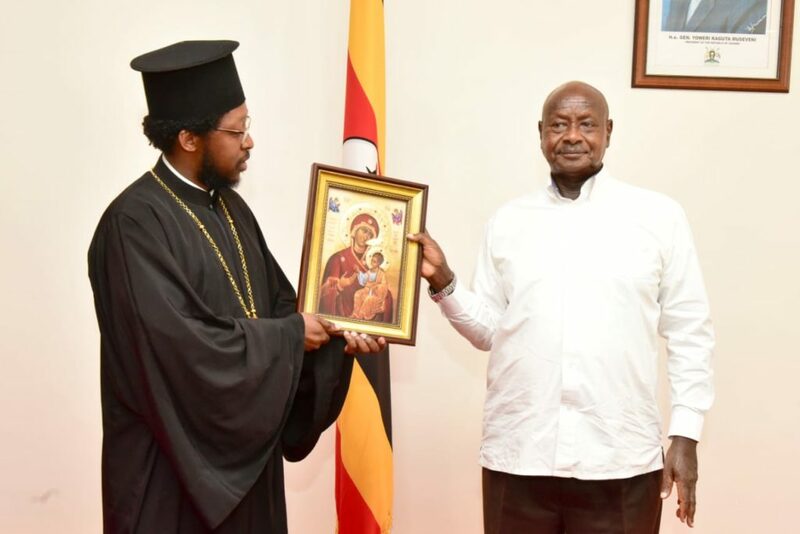 Bishop Silvester offered an Icon of Theotokos (Mother of God) to the president as a gift in appreciation for his diligent service to the Motherland Uganda. 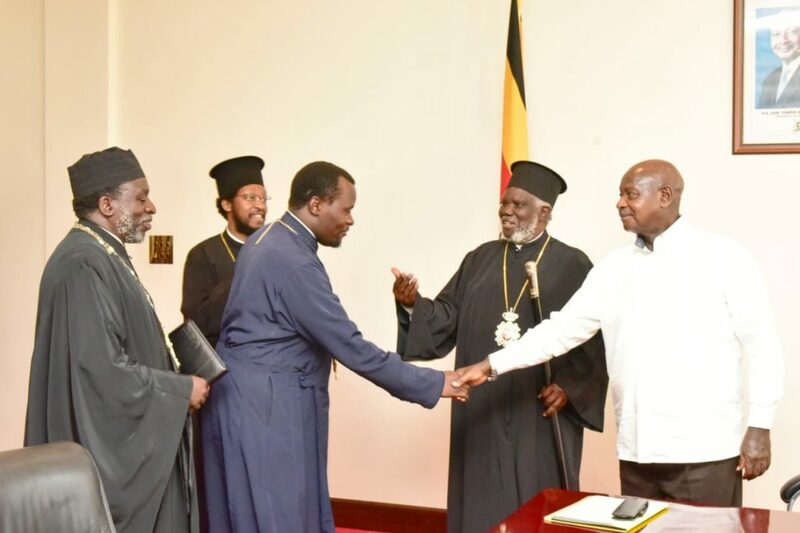 We should always continue to pray for the grace of our Lord to always guide and protect the New diocese of Gulu and Eastern Uganda. 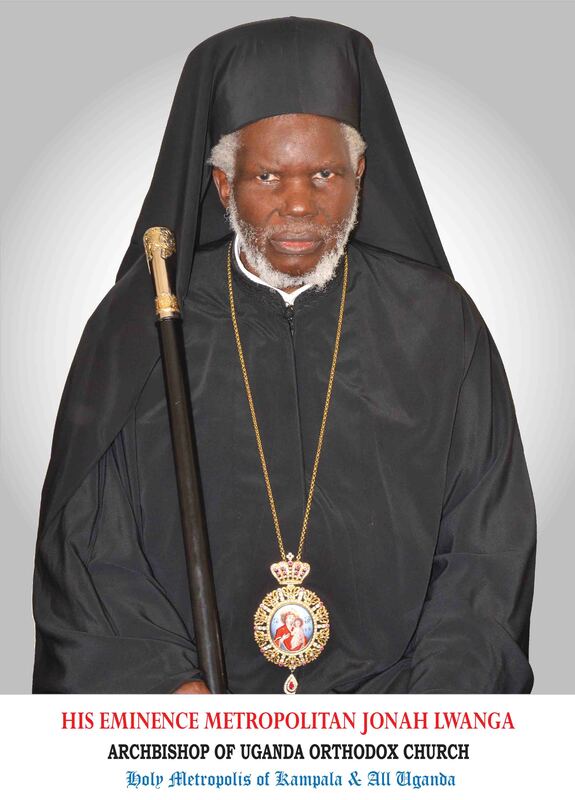 ← The inaugural liturgical celebration of His Grace Bishop Silvester Kisitu at St. Nicholas Cathedral – Namungoona.